In February I returned to work as a Preschool Teacher and shortly after also enrolled in college This left hubs as a stand in for Mr Mom. He has settled into his new role as full-time child care provider to our daughter and handles most of the house chores too. The title of Head Chef is still mine however. Recently I was asked the question: How do you keep your family fed with scratch-made food when you're on the run everyday? For me the answer is simple, plan your meals and snacks then put a "preparation day" on the calendar. Setting aside free time to bake and prepare main meal ingredients helps me feel like I'm giving my family healthy food choices even when I'm not home. I also prepare a protein on the weekend so we have something to use in sandwiches or meals for the next few days. Roast beef, chicken, ham, or turkey are favourites in our home and the left-overs can also be disguised a hundred different ways. There is a list of 10 & 20 minute meals on an index card in my recipe box. This helps me get meal inspiration when my brain is tired. We are snackers, so snacks need to be part of preparation day too. 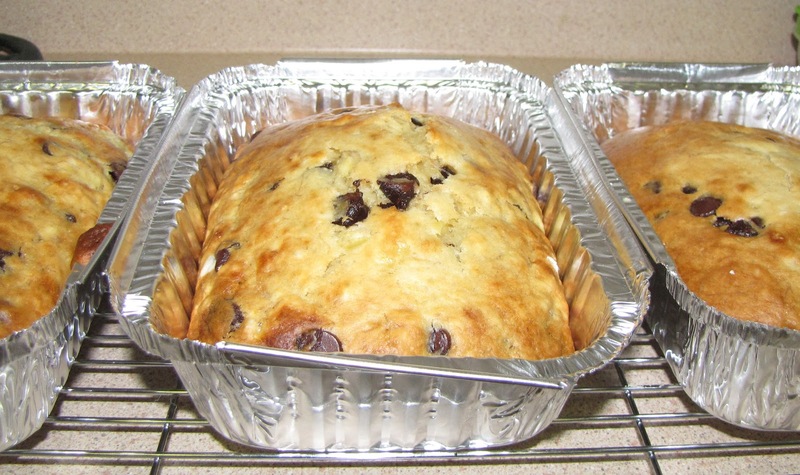 One of my most-requested family recipes is banana bread. My basic recipe is tasty enough on it's own but I also like to add special ingredients for variety. 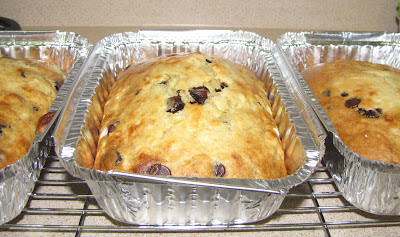 Using aluminum pans means I can make a few batches and freeze the loaves for up to 3 months. 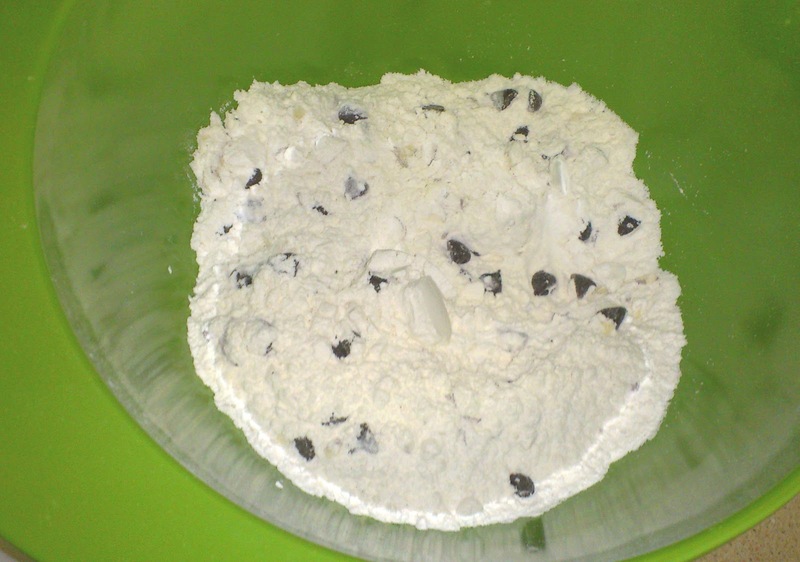 Sift the dry in a separate bowl. Mix together but don't over mix. 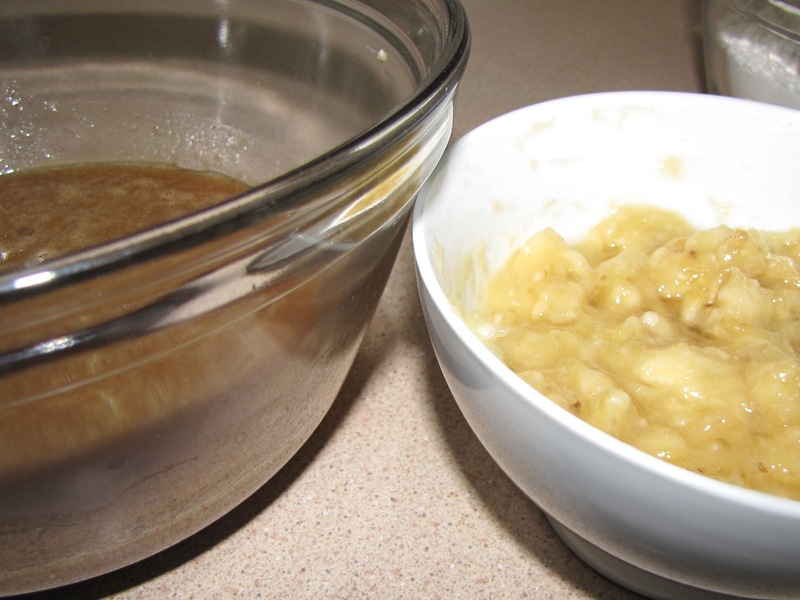 Pour batter into 2 large loaf pans or 3 medium pans (greased). Bake at 350F for 35 to 45 minutes. Use 1/2 cup unsweetened apple sauce and 2 tablespoons of oil, instead of the entire 1/3 cup of oil. Use sugar substitute (the kind that scoops cup for cup like sugar) instead of white granulated sugar. Grate 3 tablespoons of lemon or orange peel into the batter for a zesty citrus boost. Add 1 cup of semisweet chocolate chunks to the DRY ingredients. This keeps them from sinking to bottom of your bread. 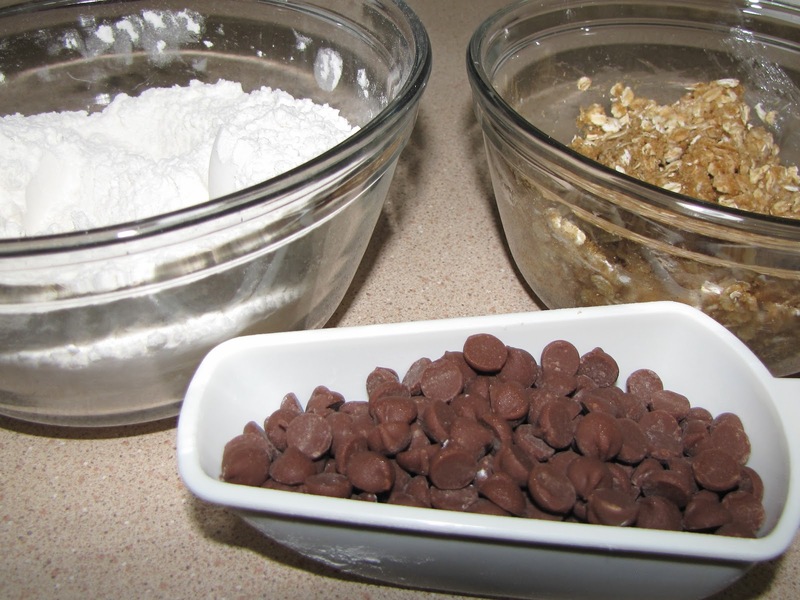 Fold 1/2 cup of chopped nuts into your finished batter. Visit Life Made Delicious for more great snack ideas. YUMMY!!! Thanks for sharing this recipe! Love, love, love it! I have a recipe similar to this. I think I'll try yours just to switch it up once in a while!